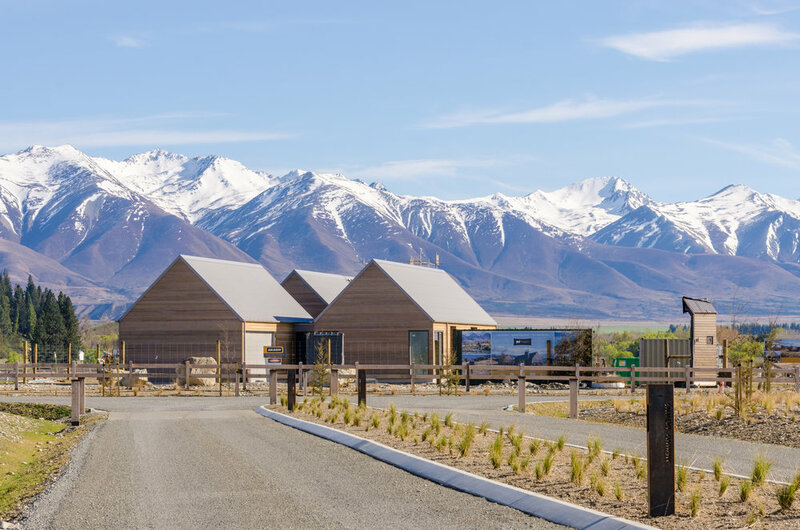 Located in the middle of the South Island between Burkes Pass, on the northern entrance to the Mackenzie Basin, and the Lindis Pass, at the southern entrance, the property is five minutes from Twizel on Old Glen Lyon Road. 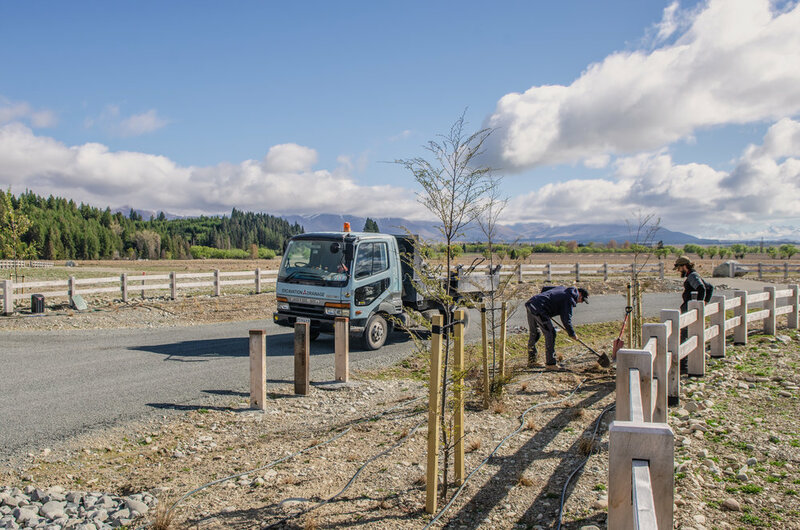 Twizel is a town of only 1,500 permanent residents, and the economic hub in Mackenzie Basin, offering schools, healthcare facilities, and general services. The city is home to employers like Meridian Energy and the Department of Conservation. 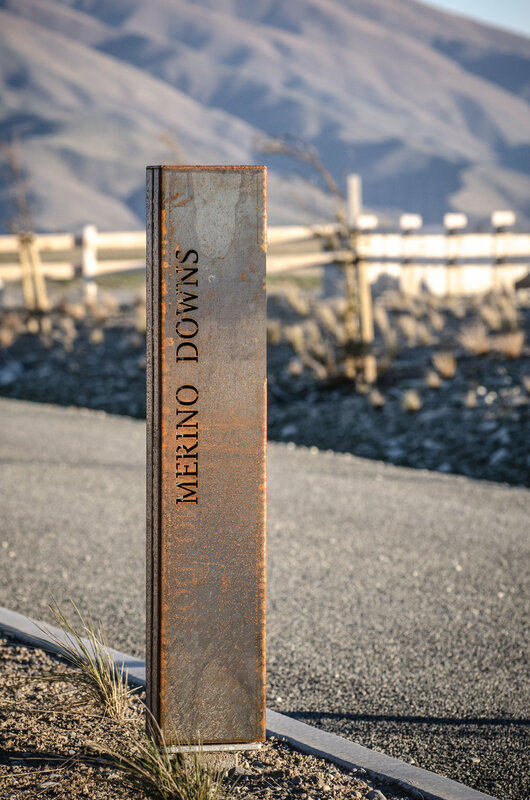 Merino Downs has full consent and approvals of the Mackenzie District Council for development and Environment Canterbury. For permanent residents, second-home owners, and visitors alike, this location features the best of both worlds – pastoral landscapes with outdoor adventure as well as access to township and travel. 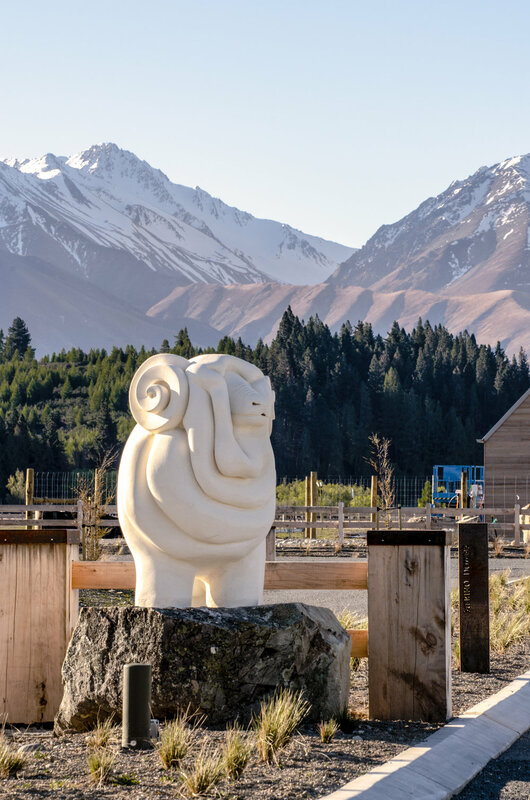 Merino Downs is located almost directly between Christchurch and Queenstown from north to south and between a mountain range and an ocean from east to west. You can reach the mountains in 10 minutes biking and the eastern Pacific Ocean in two hours driving ­– on some of the most scenic and beautiful state highways in the world. 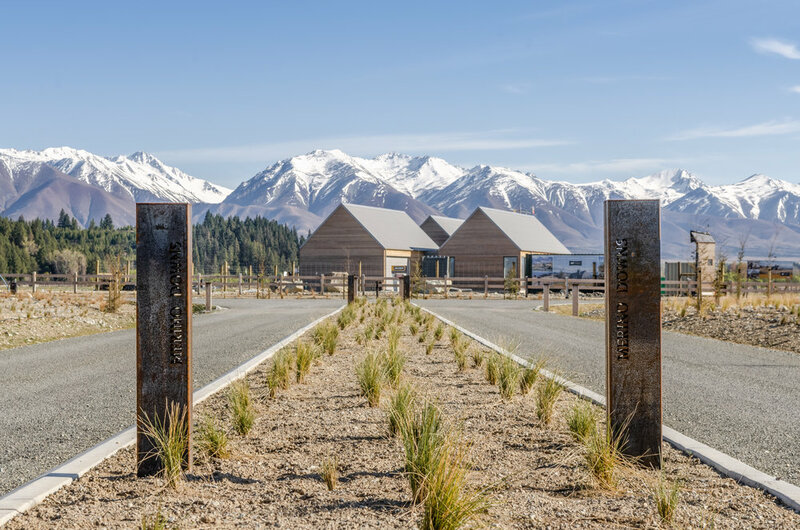 The Twizel/Pukaki Airport, which can accommodate private travel and parking, is a short five-minute drive away. Surrounded by four large glacial-fed lakes of approximately 77,000 acres, Lake Ruataniwha is a five-minute drive, Lake Pukaki and Lake Ohau 10 minutes, and Lake Benmore 15 minutes away. Measurements in meters from sea level – data from weatherbase.com. Data is from weatherbase.com and temperature averages are in degrees Celsius ( °C ). Data from weatherbase — measured in hours. Data from weatherbase.com – measured in days. 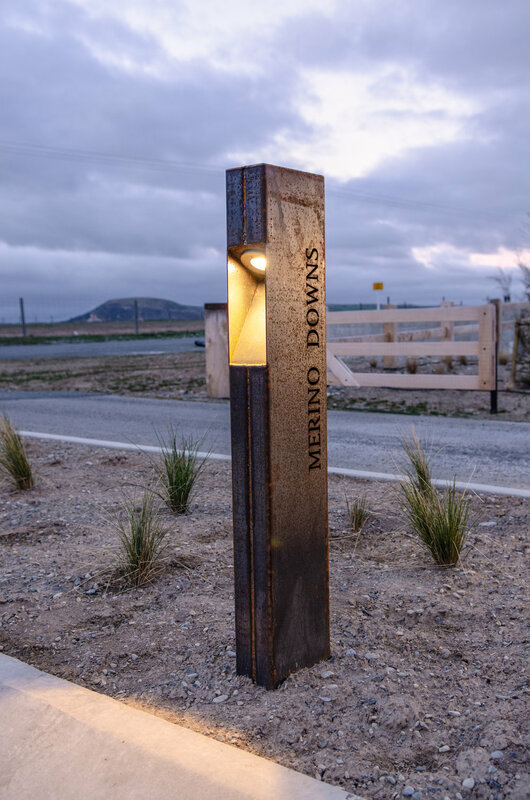 With large lots offering privacy and expansive views, Merino Downs is designed to be an idyllic and inspiring rural lifestyle area while focusing on preserving the integrity and celebrating the beauty of the natural landscape. This is a social community with a comfortable amount of privacy for each homeowner. A minimum 5,000 m2 (53,000 sq. ft.) lot size with a required setback of at least 10 m (over 30 ft.) ensures each home has a reasonable amount of seclusion from its neighbors. The lots slope slightly down (from south to north), offering fantastic north-facing upward views of the mountains and downslope views into the working Ben Ohau Station. In the northeast corner of the property, a large, sheltered 3.5-acre reserve features a sculpture and reading garden, tennis court, rugby posts, cricket pitch, outdoor table tennis, and macrocarpa stargazing benches. This space is ideal for community-wide outdoor gatherings for the intimate group of residents to enjoy with their families. 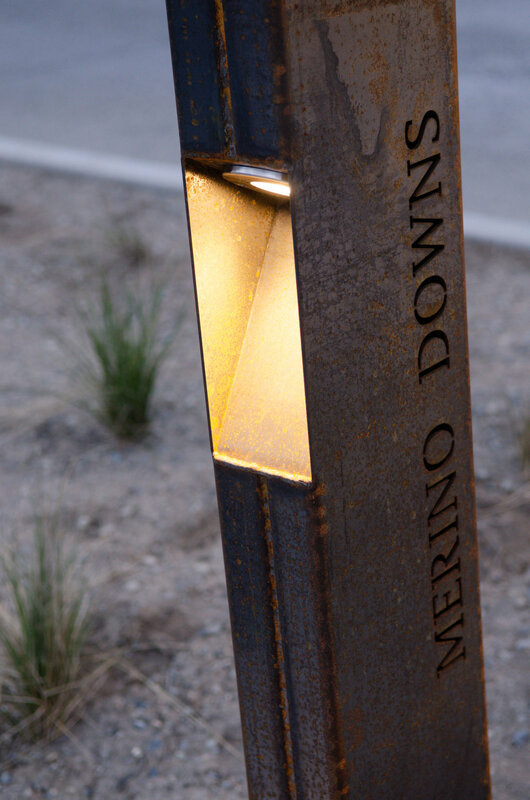 Environmental stewardship is a priority for Merino Downs as well as the community and local organizations. Forest & Bird, Mackenzie Guardians, and the Department of Conservation have been consulted throughout the process to ensure natural plants and native wildlife are considered. Indigenous plants and natural materials are used in the landscape and building designs to take advantage of the beauty of the rural environment. 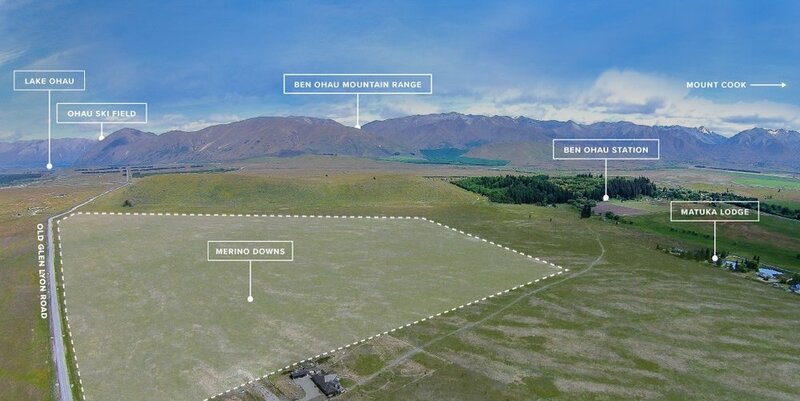 Thanks to the Cameron family’s generosity, the property will feature a 20-meter (over 60-ft.) exterior easement between the homes and the adjacent Ben Ohau Station, where natural flora and fauna can grow freely, preserving the historical environmental state. 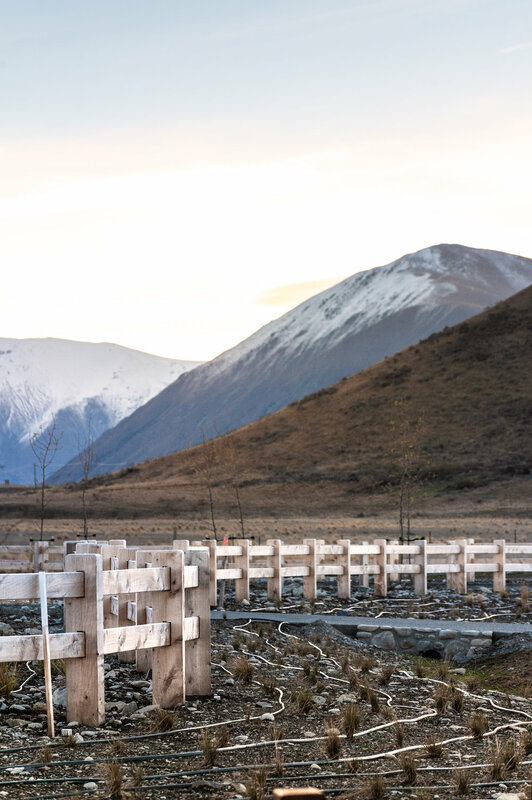 Building materials are locally sourced, and aesthetic considerations are designed to complement the nature of the Mackenzie region. Energy is sourced from the Twizel substation hydro-generated power network. 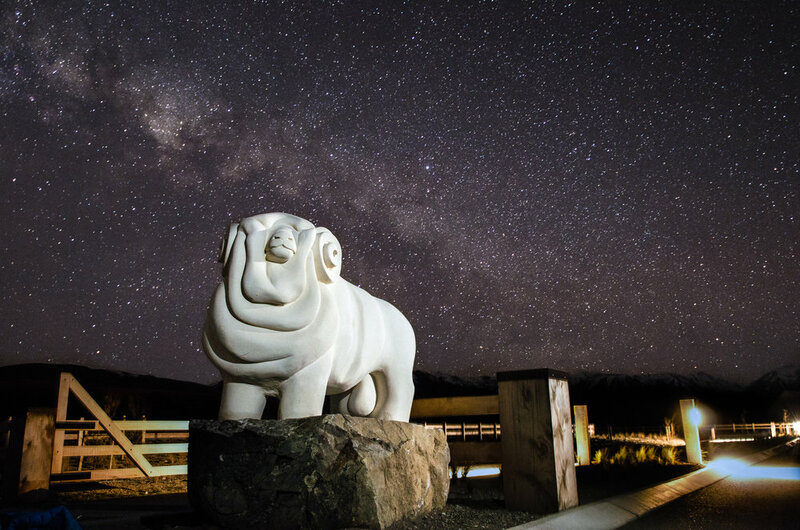 The lighting is designed to be extremely low impact on the night sky, preserving the beautiful view of the stars under the Aoraki Mackenzie Basin International Night Sky Reserve. The landscape plan of over 16,000 native tussocks reduces mowing, CO2 air pollution, and noise pollution, while promoting an enhanced environment for local small birds and animal life. 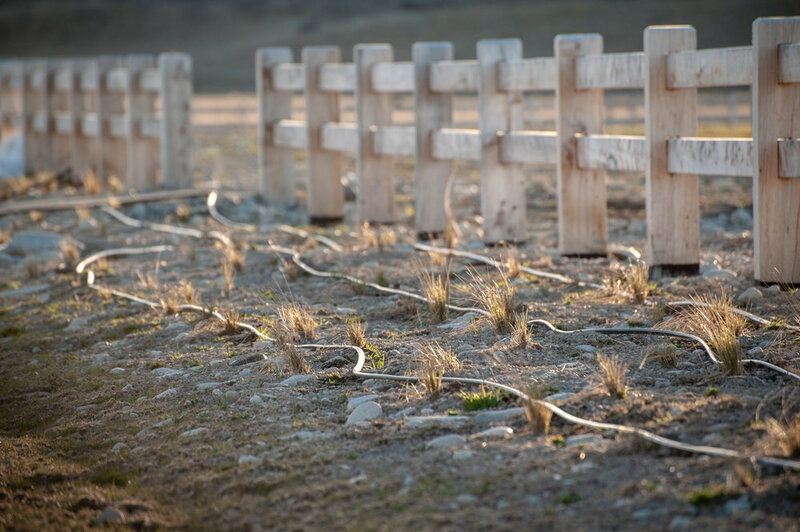 Each property has fiber-optic lines providing the fastest connectivity possible, and is on one of the few remaining subdivisions connected to the town utility services of water, sewerage, and electricity.